Local property market in the kingdom soared recently which boosted the supply of villas for rent in Bahrain. This left property searchers in the middle of a lot of options to choose from and pick what mostly suits their requirements. When it comes to renting a villa in Bahrain, it differs according to many aspects. Expatriates for example prefer to find houses in the central areas in Manama or Muharraq. On the other hand, Bahraini nationals prefer to rent villas in Riffa, Saar, Janabiyah, and other rural areas. Bahrain abounds with a wide set of villas that offer full set of amenities. Searchers can find villas for rent with private pools and special fitness gym. They can find also villas with small entrance gardens and car parking lots. Amwaj Island villas are among the fanciest in the kingdom, most of them are luxurious and large in size, they feature scenic views of the sea and lagoons, they also have access to a wide set of amenities. Displayed villas for rent in Bahrain include furnished, unfurnished, and semi furnished options. Many of them include top notch house appliances that could meet searchers’ spoiled demands. Bahrain villas vary in size between 2 bedroom villas and 5 bedroom villas. There are even larger villas in some certain locations to suit large families. They have also special room for maids, driver’s rooms, and more than one kitchen. Bahrain villas vary between standalone and others placed in gated communities. All localities teem with several facilities to make life easier for tenants. They feature shopping malls, cafes, restaurants, beaches, and many other getaways which make living very favorable for young professionals and families. They are also well connected with intertwined road network to facilitate going round and about the kingdom’s areas. Villas in Bahrain are highly coveted by Bahrainis, expats living in Bahrain, in addition to expats living in Saudi Arabia, especially in the cities of the Eastern Region like Khobar, Dhahran, and Dammam. The distance is only 21 kms between Khobar and Janabiyah in Bahrain. Many foreign professionals working in Khobar’s oil and logistic companies prefer to live in Bahrain’s western region. 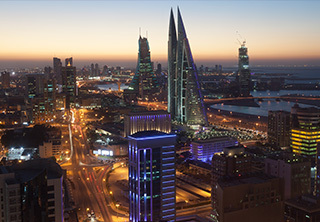 The renting process is now easier in Bahrain than before. The government established a committee specialized in settling the disputes between landlords and tenants. The Rent Dispute Committee made renting easier and safer for both sides, landlords and tenants. House hunters will have no problem also in finding a suitable house to rent in Bahrain thanks to the availability of numerous villas different in style, size, and location on online portals like Weetas website. Weetas offers many villas for rent in all areas around the Kingdom of Bahrain. Search the available villas and find the one that best suits your demands, once you find a suitable one, contact our sales team either through email or calling us to find prompt support. Our sales representatives are available around the hour to get your demands. Just call us to find all needed support.